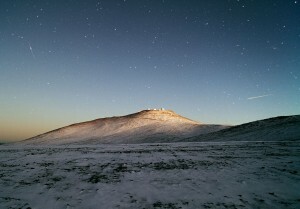 It’s difficult to find a snowy shot of the observatory at Cerro Paranal. The air is so dry in the Atacama Desert that precipitation is a rarity, even at the elevation of 2,600 meters (8,500 feet). In addition to the domes of the VLT, this wintry scene includes a satellite trail and a meteor trail. Such good fortune for a photographer! Right click on the image to download an image for your computer desktop (right sidebar of the ESO page). This morning at 07:12:36 EST, the Russian Soyuz TMA-07M Expedition 24 lifted off from the Baikonur Cosmodrome in Kazakhstan. The astronauts on board the spacecraft represent three nations and their space programs. From the Russian Space Agency comes the Commander, Roman Romanenko. Flight Engineer Chris Hadfield represents the Canadian Space Agency and Flight Engineer Thomas Marshburn works for NASA. 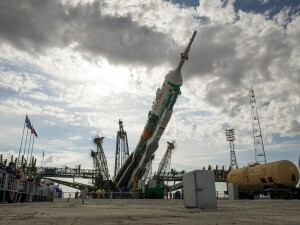 The Soyuz capsule is on schedule to dock with the ISS on 21 December 2012. I couldn’t decide what photo to feature today, one that shows this morning’s action or one that represents the longevity of the Soyuz program. I chose the image at the head of this post because it was the most striking in terms of content and the quality of the photography. 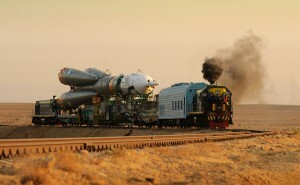 Soyuz rollouts are so different from the ones we’re used to watching at Kennedy Space Center/Cape Canaveral. 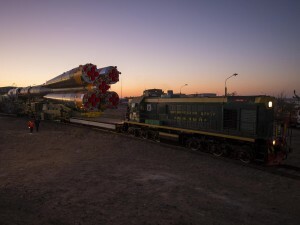 With a Soyuz, whether it will be launched from Kazakhstan or French Guiana, the body of the rocket is moved along a horizontal by train and tilted into place on the pad. In contrast, Ariane 5, Atlas V, and Delta IV rockets rollout in the vertical position. Admittedly, the Atlas Vs and Delta IVs tend to be stacked close to the pads, so the rollout doesn’t require a long-distance move. 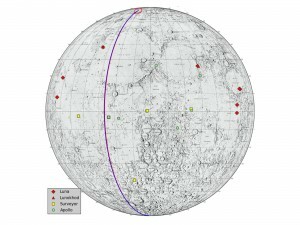 But it seems NASA has always preferred to move a vertical stack—the Space Shuttles and Saturn V rockets were moved along the crawlerway from the VAB to the launch complexes in the upright position, for example. 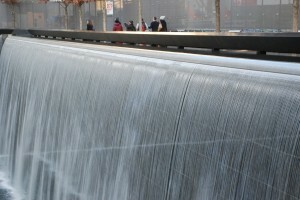 Comments : Comments Off on GRAIL Impact: Why now? Today I’m giving you my own photo. Until last week, it was on exhibit at the Museum of Flight in Seattle as part of the “2012 Spirit of Flight” show. The photos are no longer on display, but I’ve been writing up a short statement about NASA’s preservation policies to include in the most recent version of my portfolio and this image is at the center of my theorizing right now. If you’re not familiar with LC 34, it was the site of the Apollo 1 fire that killed astronauts Virgil “Gus” Grissom, Edward H. White, and Roger B. Chaffee. 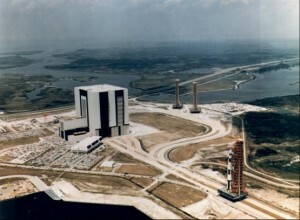 NASA used the launch complex (with modifications) through the Apollo 7 launch in 1968, after which time the Apollo program moved to LC 39A & 39B. According to a 2007 report produced during an Historic American Engineering Record (HAER) survey, LC 34 was mothballed by NASA in November 1971 and abandoned in October 1973 (if you zoom in on the forward leg of the platform, you can see the “ABANDON IN PLACE” stencil). The complex officially belongs to the Cape Canaveral Air Force Station National Historic Landmark District today. 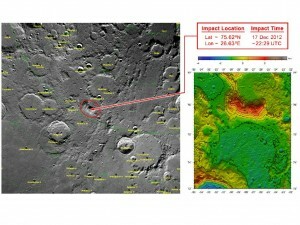 If you’ve been out to LC 34, you’ve probably noticed two things. First, it’s quiet and peaceful on the pad, even if you’re surrounded by dozens of spacetweeps. 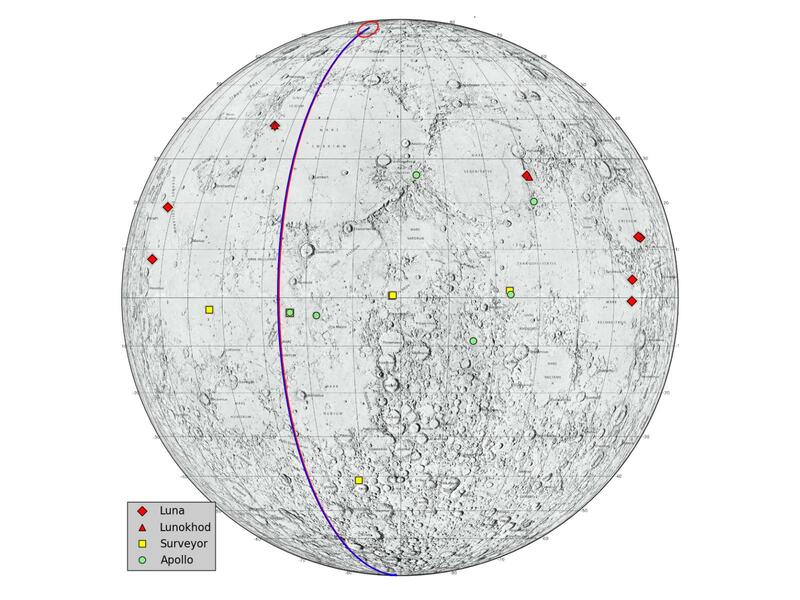 Part of the tranquility comes from the reverence with which space enthusiasts approach the site, of course, but most of it comes from its relatively remote location. And that’s the second thing: LC 34 is quite distant from the Kennedy Space Center Visitor Complex and the “special access” tours don’t seem to go there these days. 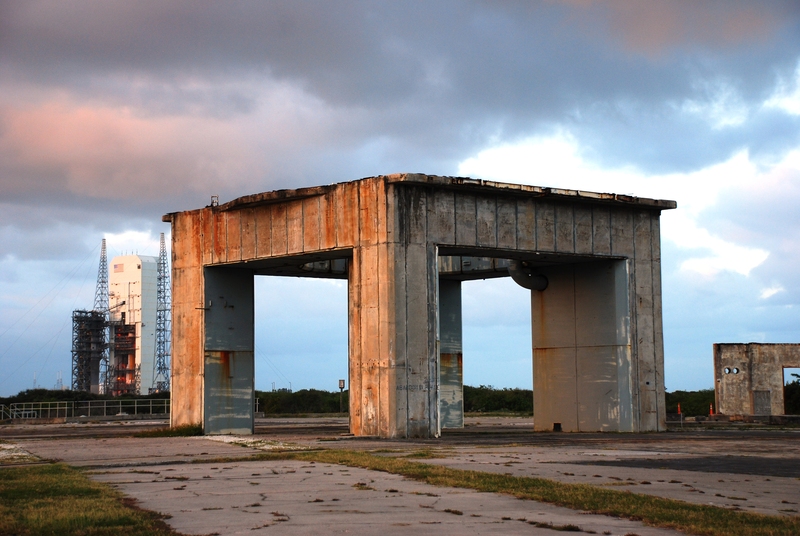 The launch pad hasn’t quite been abandoned—a trio of benches and a Historic Site Kiosk stand at the concrete’s edge—but it isn’t being maintained as much as you might think it would be, given the events that occurred there. This observation isn’t new. Roger Launius, Senior Curator in the Division of Space History at the Smithsonian Institution’s National Air and Space Museum in Washington, D.C (aka “the man who has the job I really, really want”), noted some years ago that in this case, “ABANDON IN PLACE” really means just that: no one is care-taking this piece of our (American, global, space, scientific, cultural) heritage. Launius provides several good explanations—launch structures are constantly being dismantled, adapted, and redeployed to serve the next rocket design, NASA’s cash-poor state makes it difficult to initiate, much less sustain, a preservation program, NASA’s reluctance to part with artifacts, etc.—but I can’t help but think none really explain the status of LC 34. I’d like to think that that undeveloped state of LC 34 was a conscious decision on the part of the CCAFS to leave things as close to the past as they could possibly be. Better interpretive signage would be a nice addition, but seeing the pad in it’s “natural state” is more moving than viewing it from behind a protective fence or under a spotlight. However, I suspect the real reason the platform is being left to decay is because the CCAFS doesn’t want tourists spending any more time than necessary at their top secret military satellite-weapon launch site. Add to that any financial concerns the Air Force might have about “wasting” money on history rather than war and I think you’ve got a fuller explanation. Click on the image to download and enjoy. Historic American Engineering Record, Cape Canaveral Air Force Station, Launch Complex 34 Operations Support Building, HAER No. FL-8-AN. I’m not sure if this is permanent or not. Until recently (2010? ), the KSCVC ran a “Cape Canaveral: Then and Now” tour that went to LC 34. At present, that tour isn’t on the list of the available options, though. This seems to be our week for thanatourism. 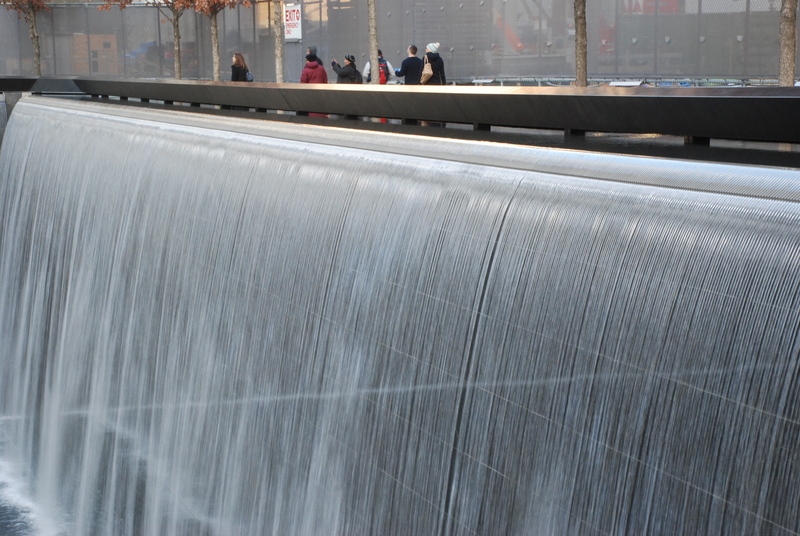 Three days after our visit to the Flight 93 National Memorial, we visited the 9/11 Memorial in New York City. I’ll spare you my words, but give you some of my photos.